Blackberry Made in Malaysia will soon be circulating in Asia after Research In Motion built a new factory in the city of Penang, Malaysia which has been opened July 1, 2011. Previously there are only 3 types of Blackberry mobile phones origins: Made in Canada, Made in Hungary and Made in Mexico. But now RIM is aiming to reduct production costs and distribution in Asia by opening a factory in Malaysia. To anticipate the increasing demand for Blackberry phones in Asia and worldwide, we are very pleased to have opened a factory in Malaysia. We continually strive to improve the way we serve our customers and partners, and believes that produces the BlackBerry in Malaysia will help us achieve that goal. 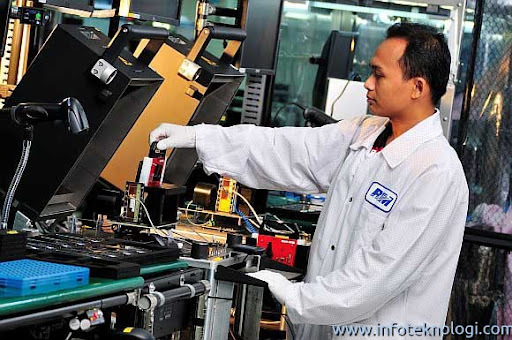 The question that arises is why RIM build the factory in Malaysia rather than China ? Because RIM can reduced the cost even further if they built it in China, Even most of technology giant opened their factory plant in China (example: Apple and HP). Does making the Blackberry factory in Malaysia a right decision? Possibly, because despite our disagreement with Malaysia they do have better technology. So next time you buy Blackberry Smartphone don't confused if you see Made in Malaysia text in the back of your Blackberry phone, under the battery. Research In Motion (RIM), the company behind the award winning BlackBerry solution, today announced that it will manufacture BlackBerry smartphones in Malaysia. Starting from 1st July 2011, several smartphones from the BlackBerry portfolio will be produced in Penang, Malaysia for use by customers around the world.